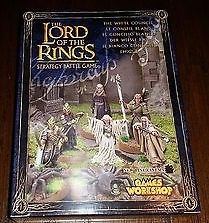 The Lord of the Rings Strategy Battle Game (abbreviated to LotR SBG), previously marketed as The Hobbit: An Unexpected Journey Strategy Battle Game and The Hobbit: The Desolation of Smaug Strategy Battle Game and now as The Hobbit: The Battle of Five Armies Strategy Battle Game, is a tabletop miniature wargame produced by Games Workshop. 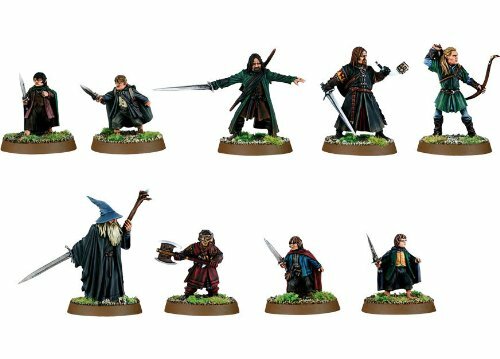 It is based on The Lord of the Rings film trilogy directed by Peter Jackson, and the book that inspired it, written by J. R. R. Tolkien. 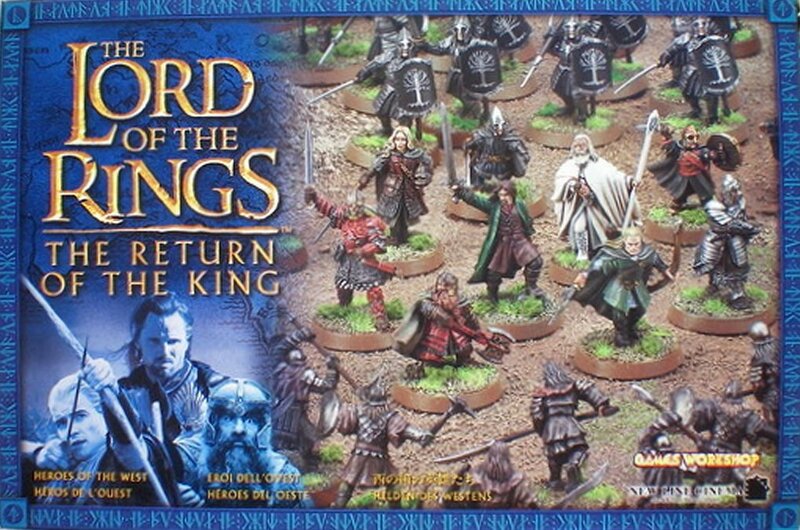 The game was initially released in 2001 to coincide in with the film The Fellowship of the Ring. 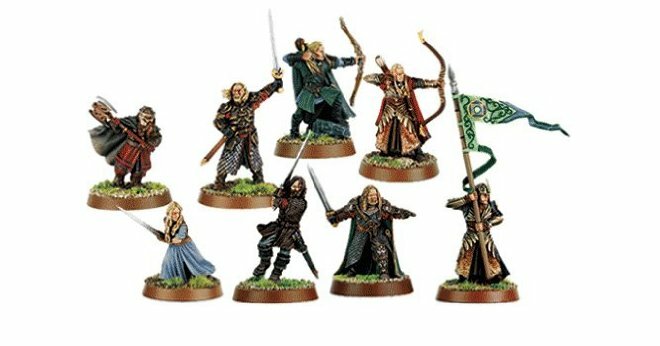 New box sets with updated rules were also released for The Two Towers and The Return of the King films. 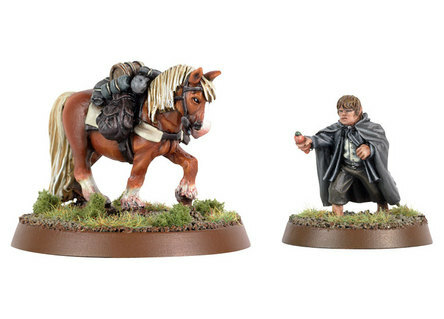 Later, beginning with the Shadow and Flame supplement, Games Workshop began to add content that was featured in the original book but not in the film adaptations: e.g. 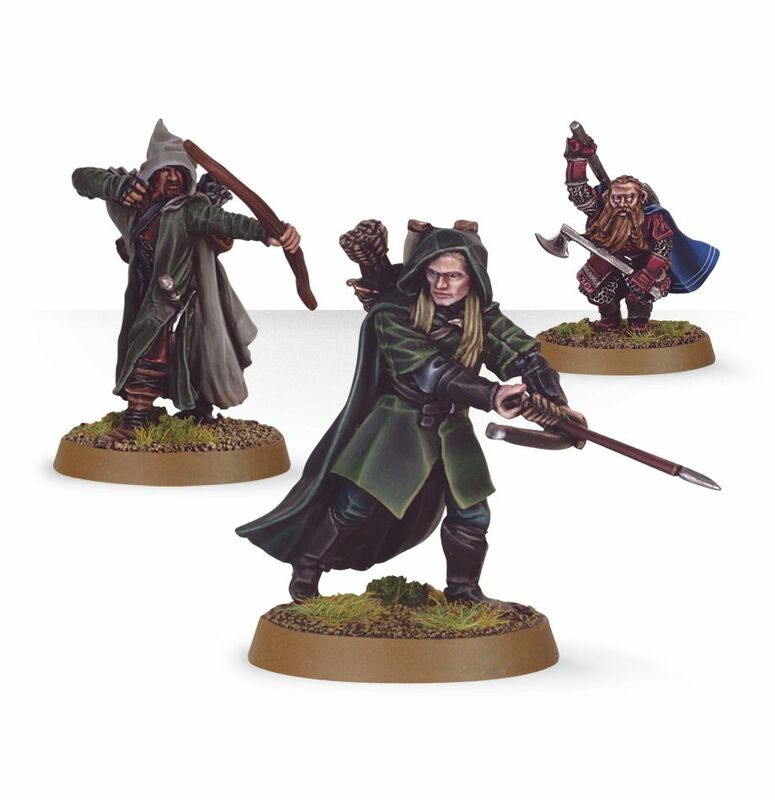 Tom Bombadil, Radagast and Glorfindel. 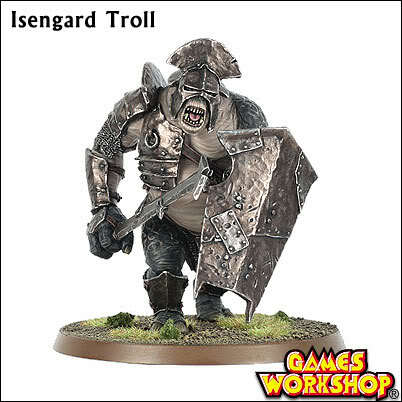 Games Workshop has also expanded its license with original material on areas such as Harad and Khand, with mixed reactions. 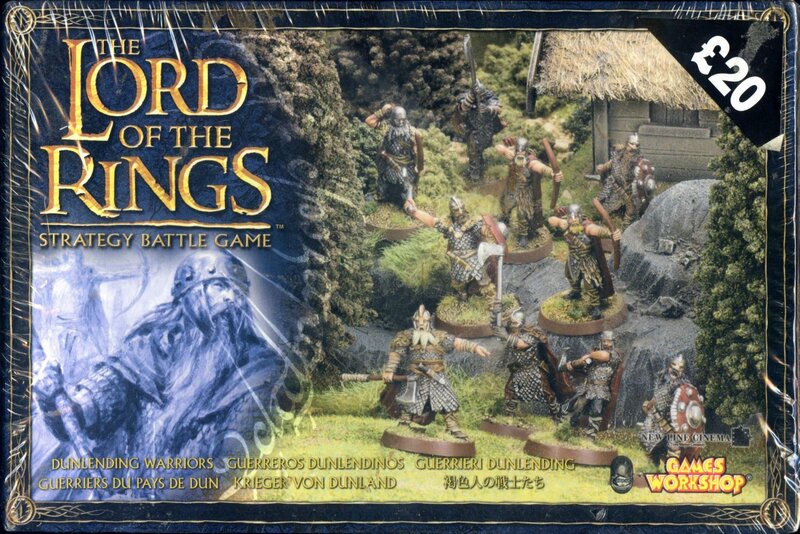 The most recent complete edition of the rules, often called The One Rulebook to Rule them All, was released by Games Workshop in September 2005, while a compact edition entitled The Mines of Moria was also released. 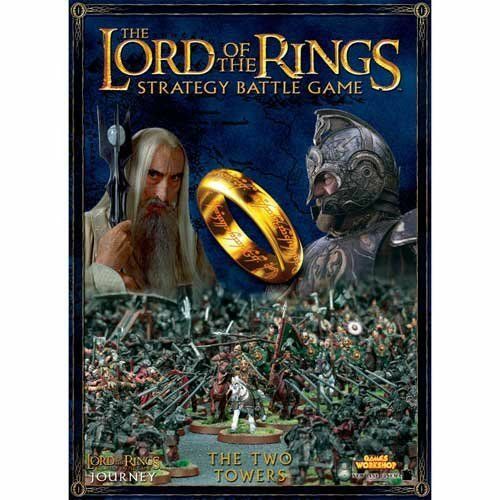 In early 2009, Games Workshop also released an expansion to the original game called War of the Ring which, according to the company, allows players to emulate the large battles included in J. R. R. Tolkien's The Lord of the Rings by streamlining the game system. 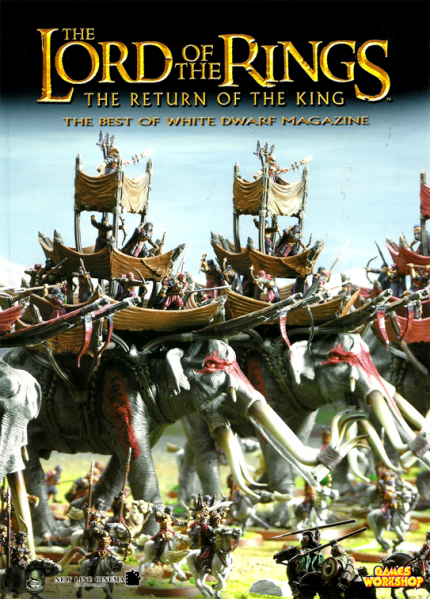 This expansion differs from the main game in several ways. 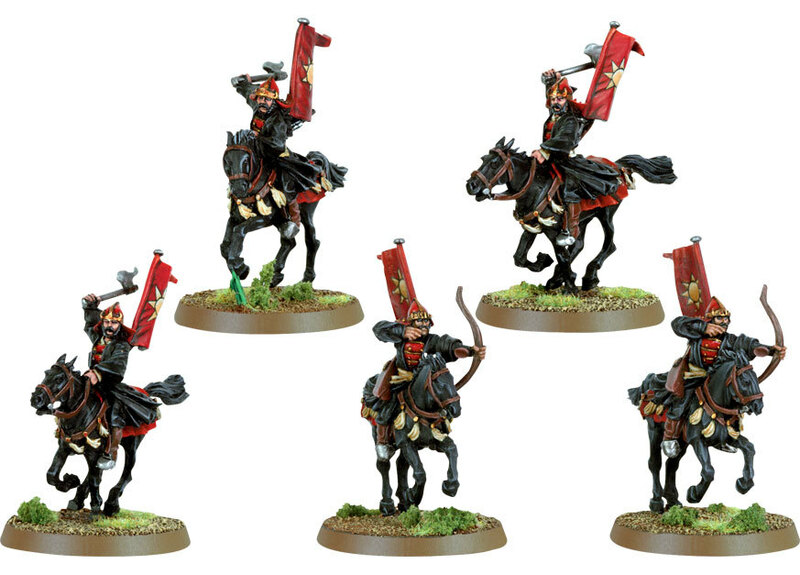 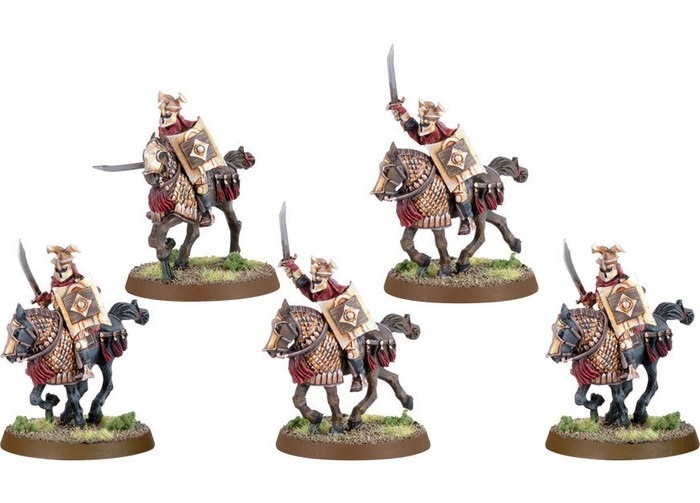 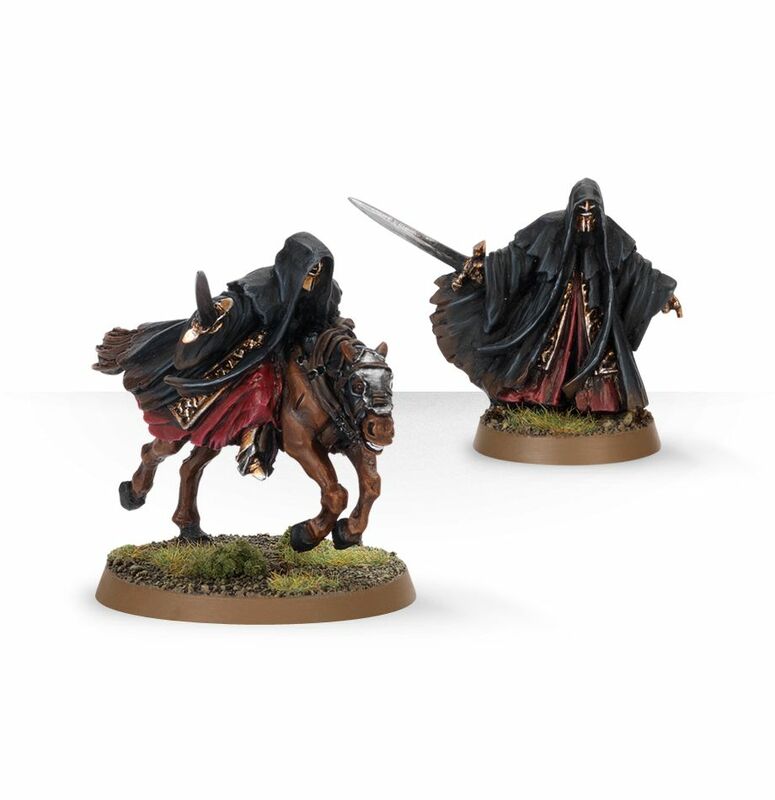 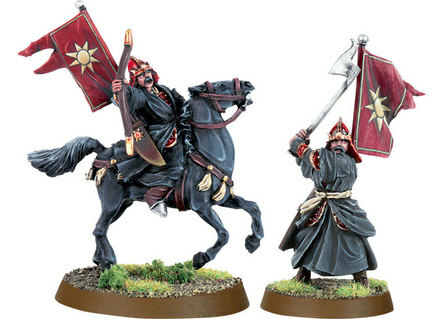 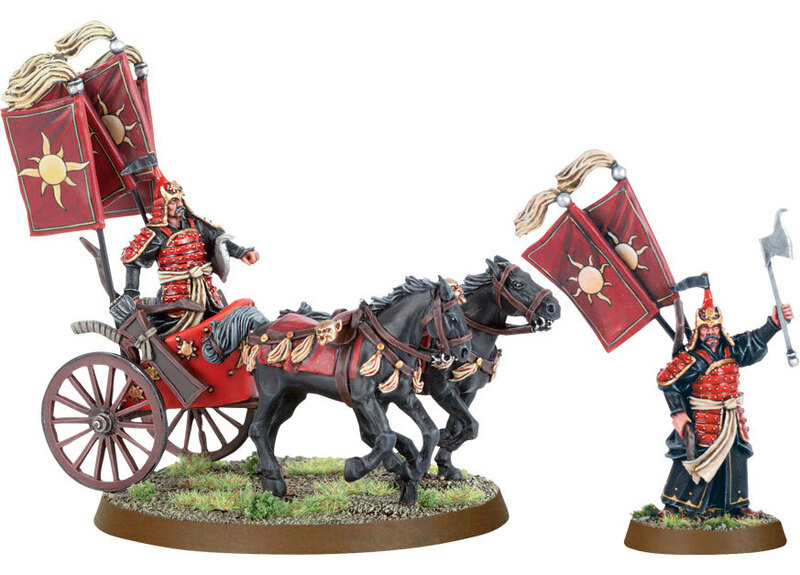 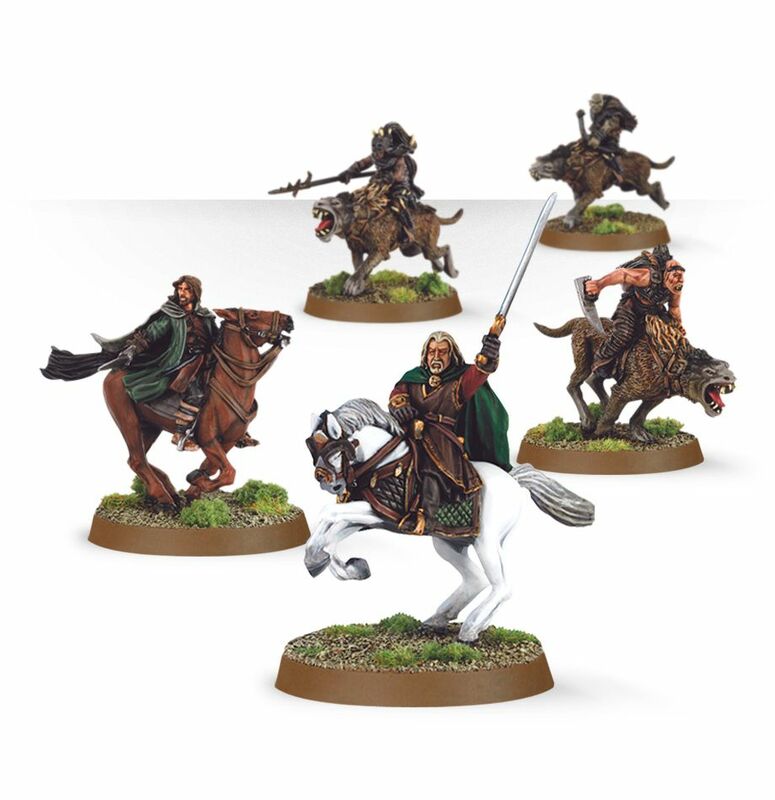 Firstly, War of the Ring uses a larger number of models but the models are placed on movement trays with two cavalry models or eight infantry models on each. 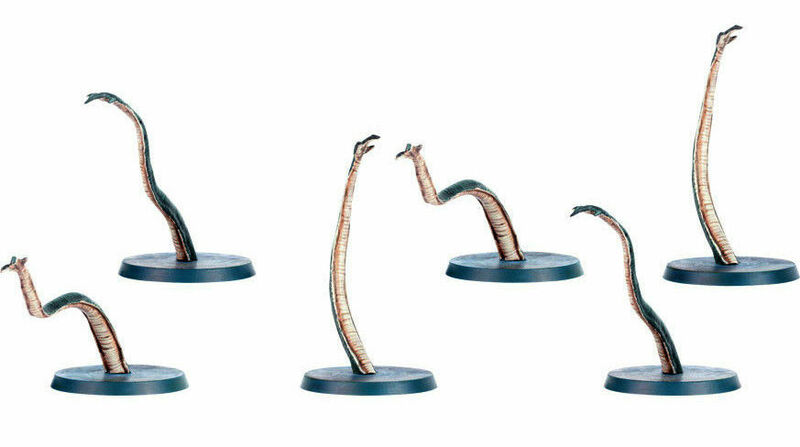 This allows for much easier and quicker movement of large numbers of models at once. 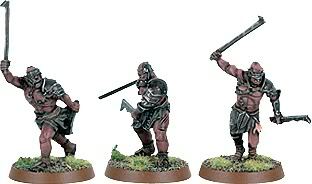 These are called "companies". 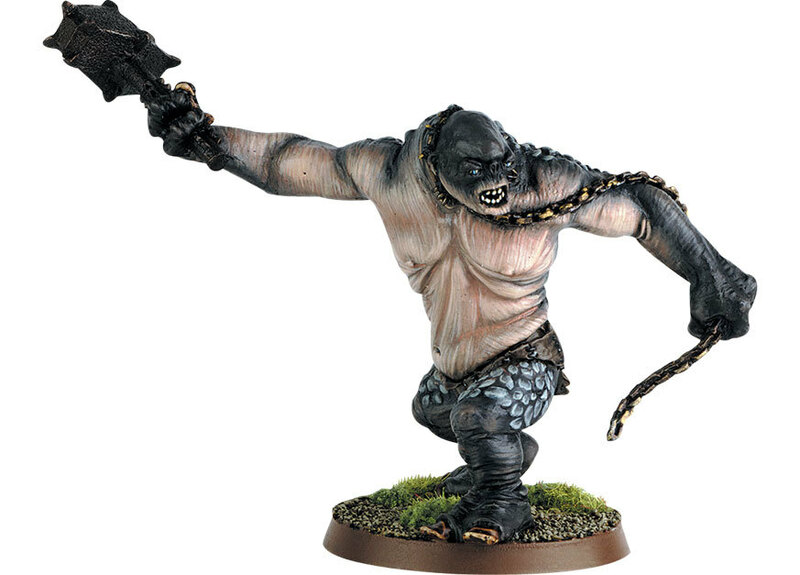 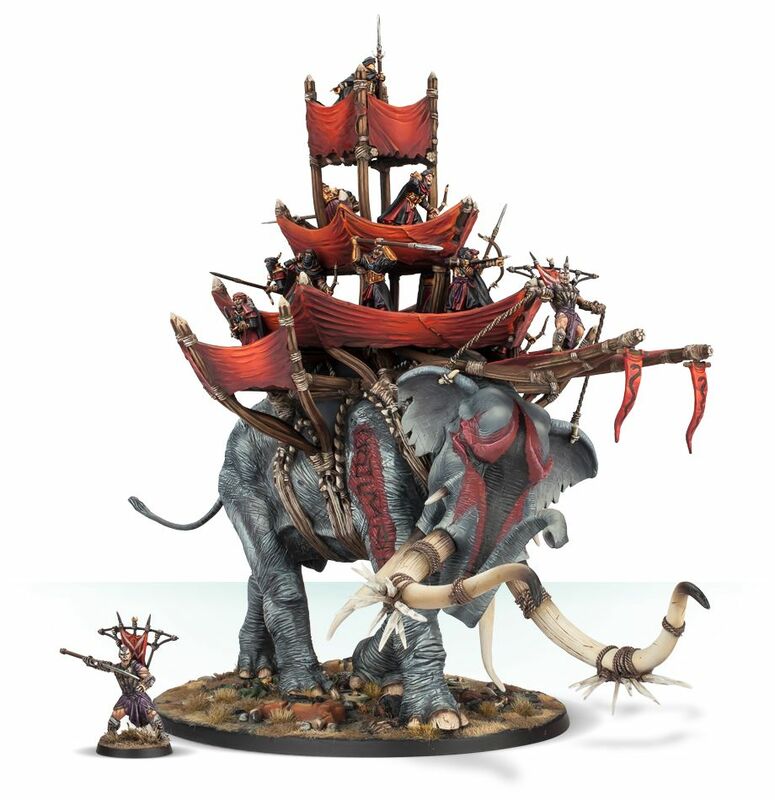 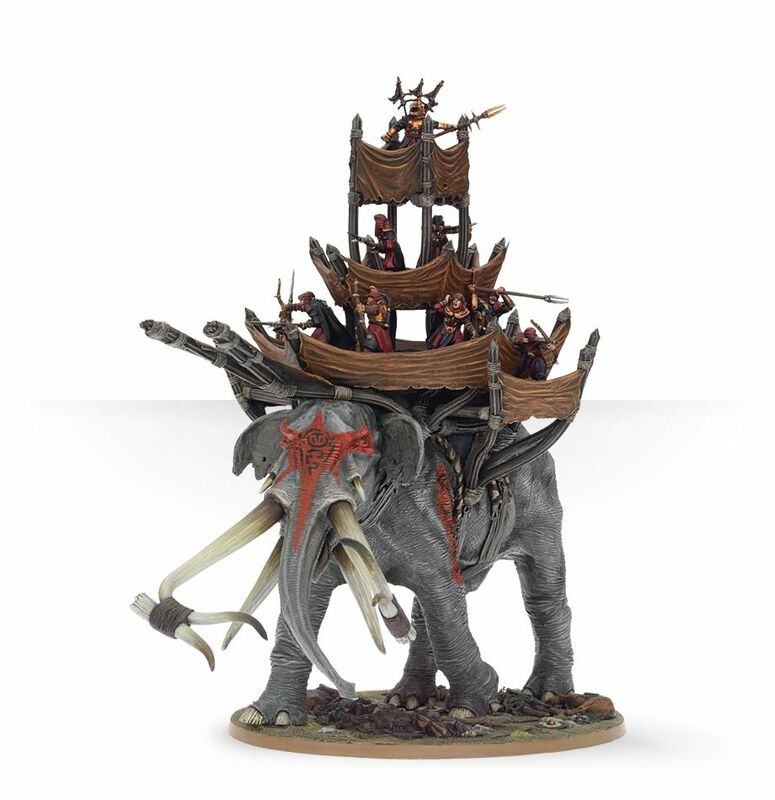 Larger creatures such as Ents and Trolls are treated as separate models and do not use movement trays. 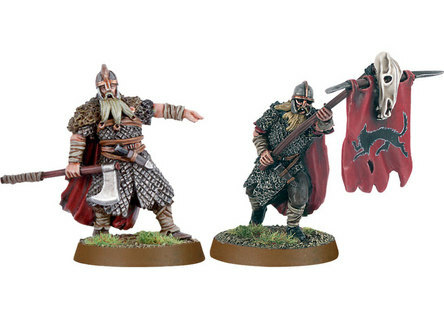 Combat within the game is also treated differently. 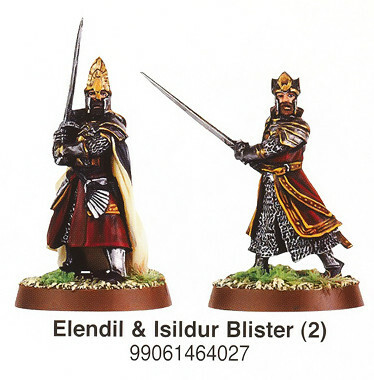 In the original game players both roll dice to determine who wins the fight and then the victor rolls to see how much damage is done. 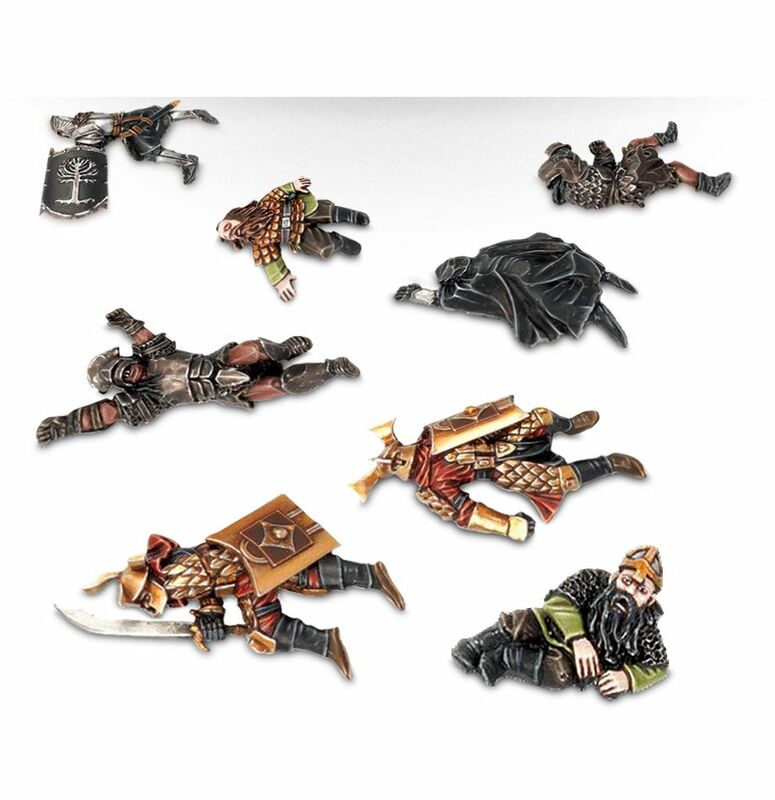 In War of the Ring only dice to determine damage are rolled. 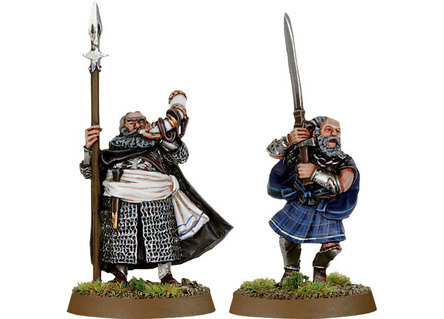 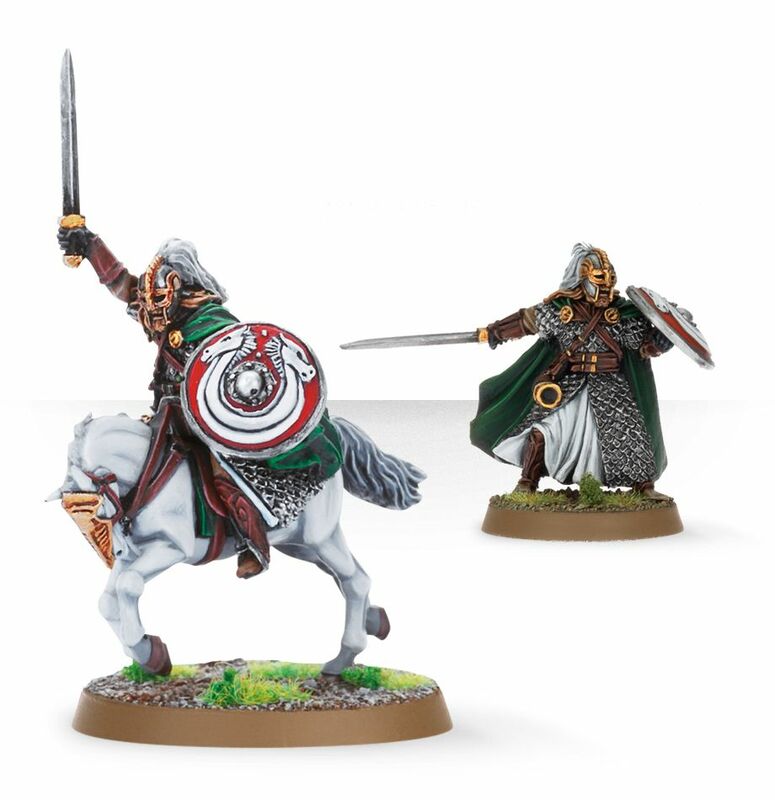 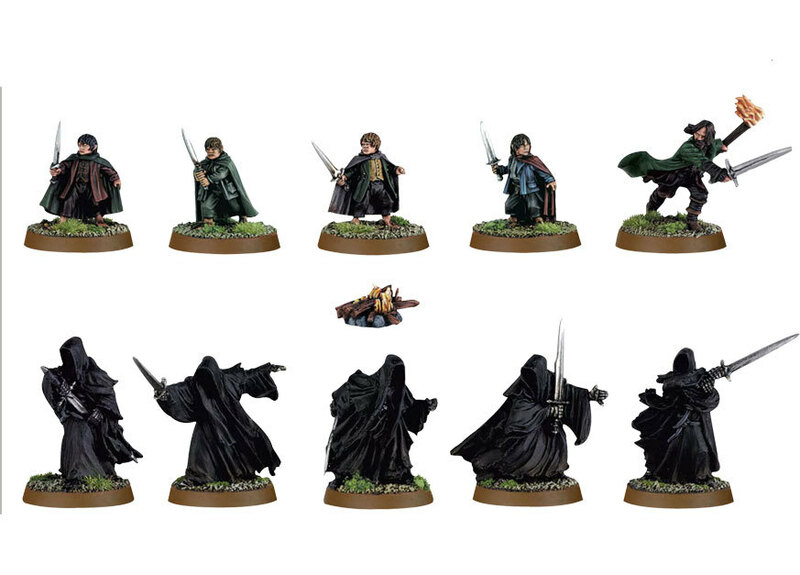 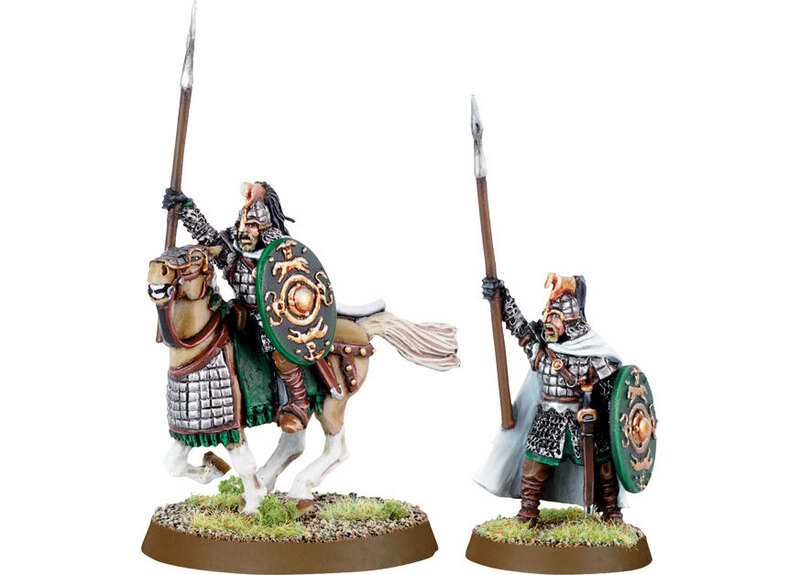 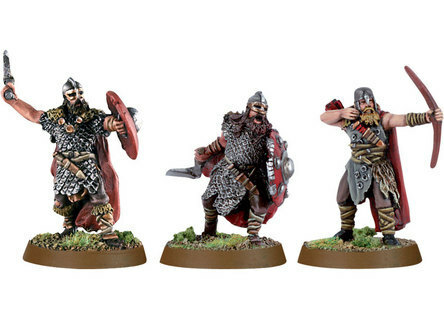 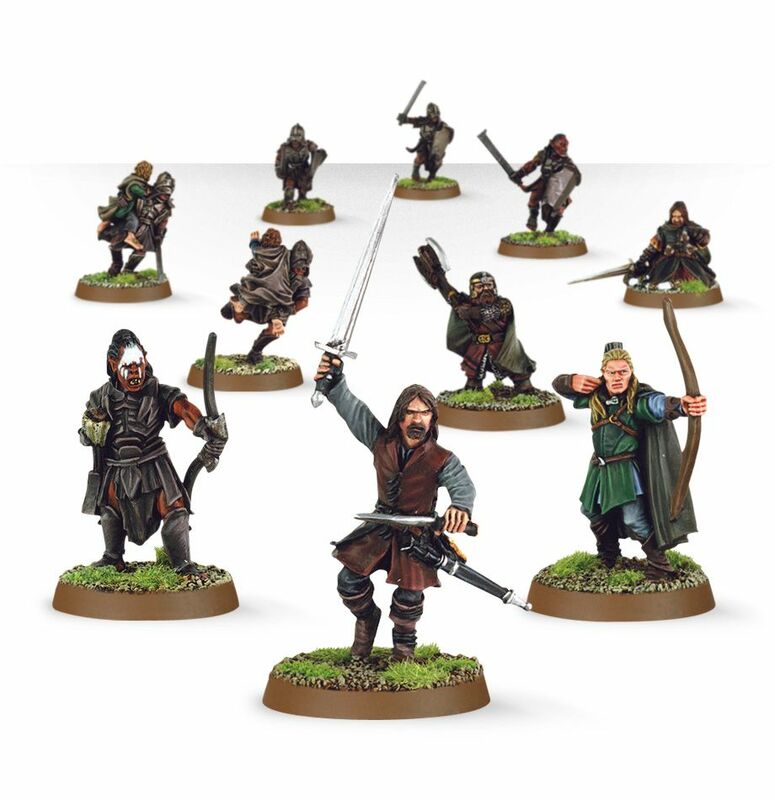 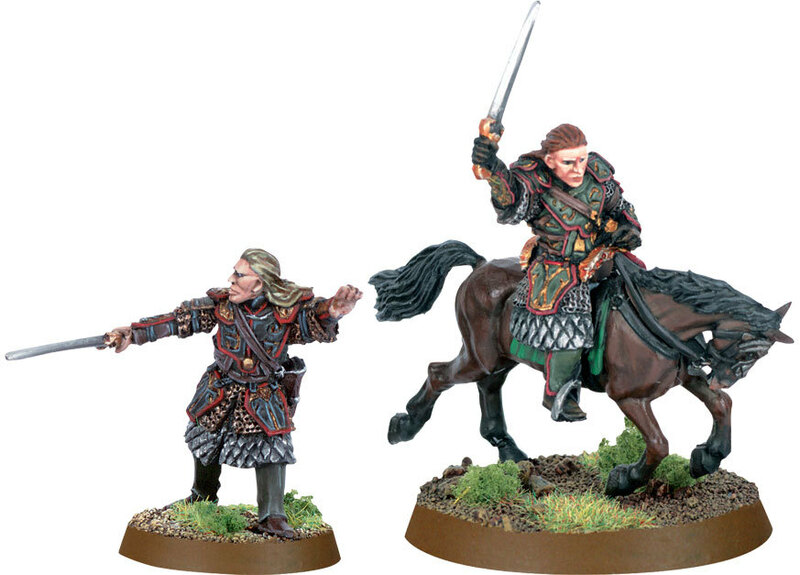 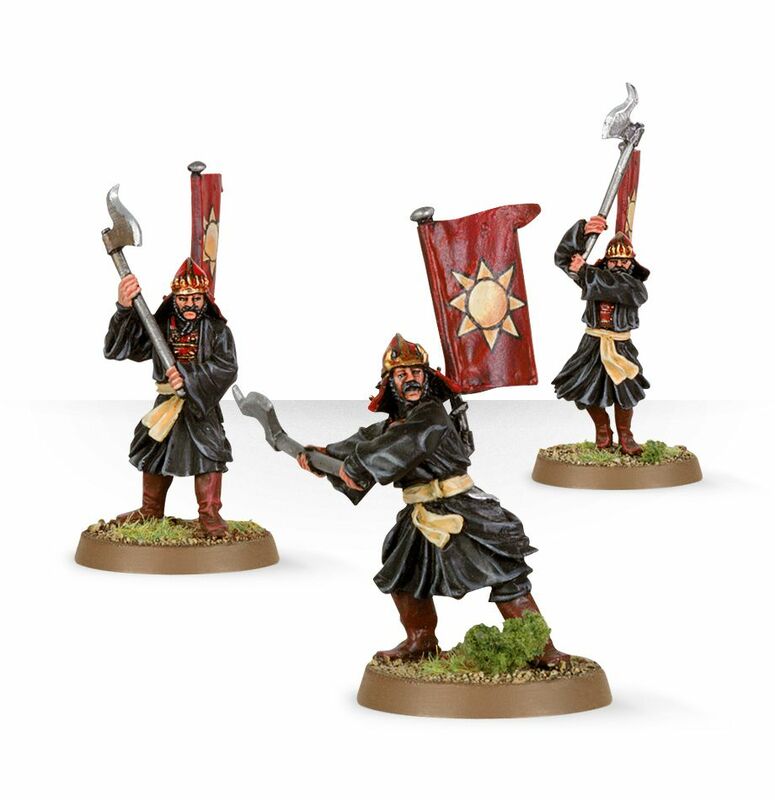 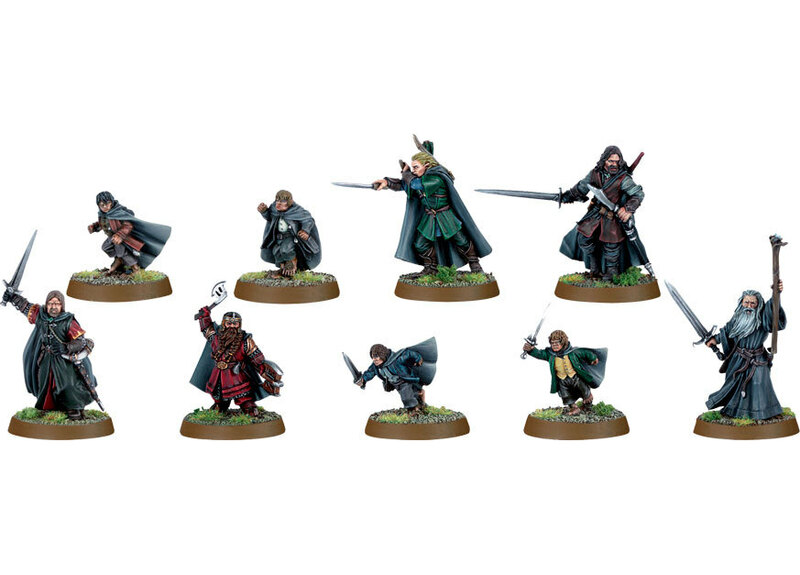 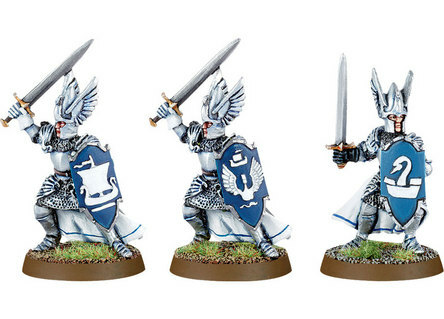 Also, in War of the Ring, heroes are treated more like upgrades for their company rather than individual models, as they are in the original game. 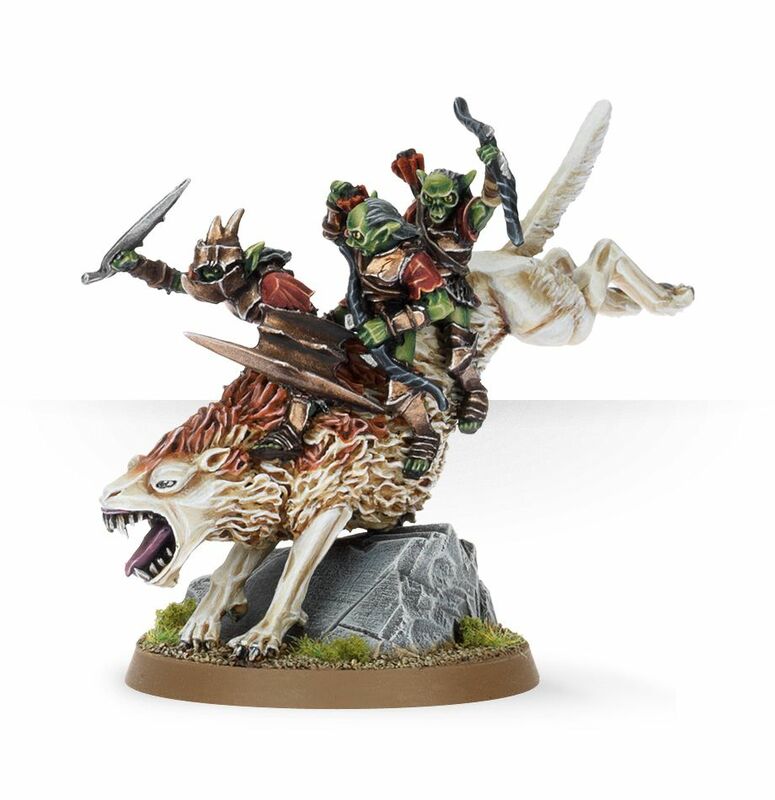 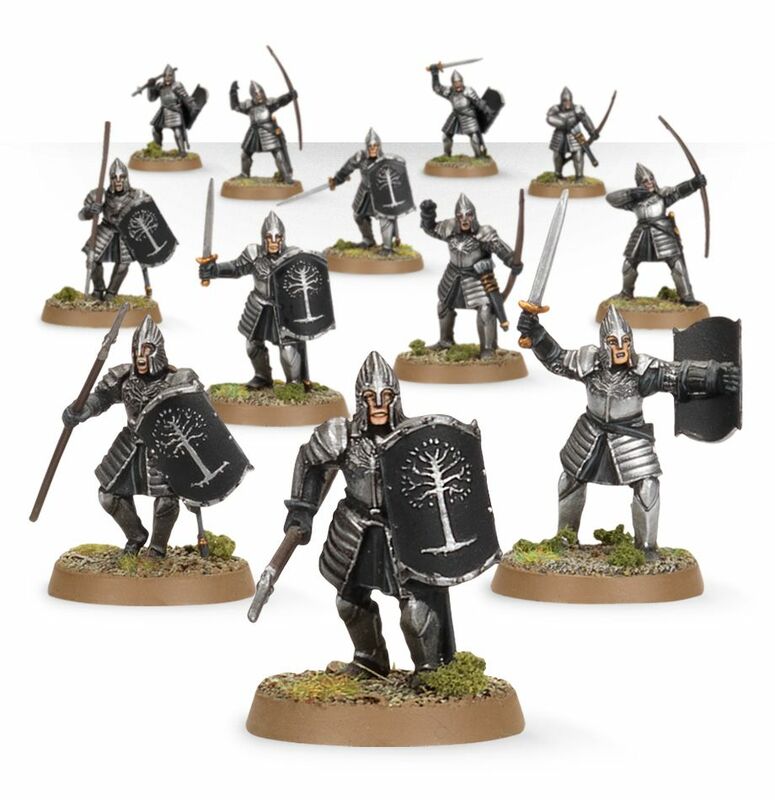 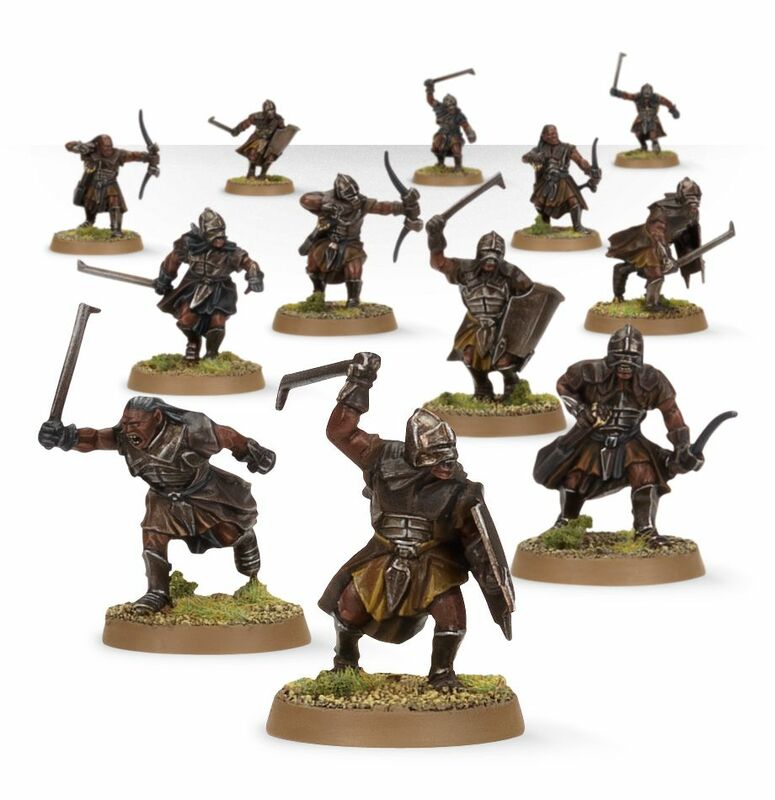 The Games Workshop Game code for LOTR SBG is 14 (eg 99 06 14 61 001 where 9906 is a metal blister pack, 14 the game, 61 the race and 001 the individual model id).